Search engine optimization keywords are the "key" words and phrases in your website's coding that make it possible for people to find your website via search engines and mainly the Google search engine. A well optimized website, for search engines, "speaks the same language" as its potential visitor base, with keywords. 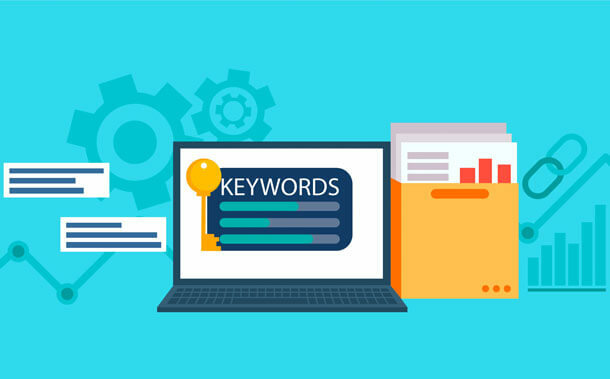 Search engine optimization keywords help connect searchers or potential visitors to your website. In other words, you need to think like your visitors and what keywords they would use to search for your products, services or information that you offer, in order to make it easy for them to find you. Otherwise, they will land on one of the many other results in the search engine results pages. Implementing search engine optimization keywords will help your website rank above your competitors. This is why developing a list of search engine optimization keywords is one of the first and most important steps in any search engine optimization initiative. Keywords and Search Engine Optimization are directly connected when it comes to competing with your competitors for top position on search engines. Search engine optimization keywords are foundational for all your other SEO efforts, it is well worth the time and investment to ensure your search engine optimization keywords are highly relevant to your audience and effectively organized for action.